The Association of Flight Attendants (AFA), the world's largest flight attendant union, recently filed a petition with the National Mediation Board (NMB) to hold a representational election on behalf of Compass Airlines flight attendants. If the NMB verifies that a sufficient number of union representation cards signed by Compass flight attendants have been collected by AFA, a secret ballot election to vote on union representation will be called. Compass Airlines, is a subsidiary of Northwest Airlines. The new regional carrier began service earlier this year, operating as Northwest Airlink. By the end of 2007, the airline expects to employ over 300 people and to operate a fleet of 10 aircraft from its Minneapolis, Detroit and Memphis hubs. This is the kind of follow-up story I wish I could do more often. Last week I posted a story about a request for an increase in pay and allowances by the Flight Attendant General Trade Union, which represents Gulf Air cabin crew. The union petitioned Gulf Air's CEO asking for a 30% pay raise and an increased meal allowance. There was concern that the airline was losing experienced crew who were leaving for other carriers that offered better pay and working conditions. Flight attendants will have their basic wage boosted by up to 52%, to BD340 a month. Those serving in First Class will get between 57% and 90%, depending on experience and marital status, taking up their basic salaries of BD400 to BD480. Crew get an allowance for every hour they are away from Bahrain, which has been doubled from 700 fils to BD1.500 under the new deal, said sources. Gulf Air pilots were awarded pay increases as well. Mahmood Al Kooheji, chairman of Gulf Air, said, "We are moving ahead full steam with the realignment of Gulf Air and this improved package is our appreciation for the flight deck and cabin crews' hard work, dedication and commitment to further strengthen the Gulf Air brand." Flight attendants at Gulf Air are asking management for a 30% pay raise, plus an increase in allowances. The Gulf Daily News in Bahrain reports that a petition signed by 500 Gulf Air cabin crew requesting changes to pay and working conditions was handed to the airline's acting president and chief executive Bjorn Naf by the Flight Attendant General Trade Union earlier this week. The union's leader, Sadeq Al Derazi, said the airline had to improve the pay of in-flight staff or continue to lose them to rival carriers. Mr. Al Derazi is a cabin services manager who has worked for Gulf Air for 18 years. "Our main objective is not only to get increased pays but to keep hold of our experienced cabin crew. A lot of them have moved to other companies and we want to stop them," he said. "Only improving conditions will stop people from leaving for other companies. We are not trying to force their hand - we are asking them to stop people moving to another airline." In addition to an increase in base pay, Gulf Air cabin crew are seeking an increase in the meal allowance paid for every hour that each flight attendant is away from Bahrain. The union has asked for an agreement to be reached by the end of this month. This is starting to sound like a trend: Last month I did a piece on Lufthansa's 'Sleepers Class' idea for economy passengers on long-haul flights. Now it looks as though Air New Zealand is considering something similar. An article on the New Zealand news website Stuff reports that Air New Zealand is considering replacing cramped economy seats with 'sleeping pods' on its long-range aircraft. The article quotes Air New Zealand's strategic development general manager, Nathan Agnew, who said that the airline wants to introduce an entirely new type of economy cabin when it takes delivery of its fleet of Boeing 787-9 and 777-300ER long-range jets from 2010. Referring to Cathay Pacific's planned introduction of economy seats that recline within a fixed shell, similar to business class seats, Mr. Agnew said, "We think that if you are going to do that concept why not push it to the next level, why stop there? We haven't even constrained ourselves to saying that it necessarily will be a seat. The other option is to give people a sleeping pod." "We like it (the pod) as a concept. 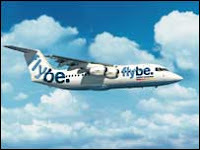 We are yet to evaluate whether practically it could be fitted out to an aircraft interior," Agnew said. Cabin crew already sleep in pods during long distance flights, usually hidden away at the rear plane or in the ceiling space above the passenger cabin. "Given that a lot of our long-haul flying is overnight, it might actually be preferable for our customers simply to have something like that rather than have a seat," Agnew said. Because eating in a pod might be difficult, passengers may be served a meal at the airport before the flight, allowing them to immediately go to sleep once on the plane. "We have some quite creative ways, at least conceptually, how this could work." Mr. Agnew stressed that this idea is still a theoretical concept, not a done deed. For more on what may be forthcoming for Air New Zealand, have a look at this Interview with Nathan Agnew in the New Zealand Herald. A passenger on a Continental Airlines flight broke his leg after leaving his seat during turbulence. The incident happened on August 2, 2007 on board a B-737 aircraft operating as Continental Flight 875 from Houston to Panama City, Republic of Panama. The aircraft encountered turbulence while descending for an approach to Panama City. The Captain requested and received deviations from the intended route of flight to avoid inclement weather along the route of flight when the flight encountered moderate turbulence for approximately 7 to 8 seconds during descent. The cabin seat belt sign was illuminated and the flight attendants had made several announcements regarding the seat belt sign when a passenger fractured his leg after he elected to leave his seat. The injured passenger was attended to by an on-board physician until he was de-planed by local paramedics. No other passengers or crew members were injured, and there was no damage to the aircraft.